Note: Your Power Commander's firmware may need to be updated to use this device. Connecting the optional Map Selection Switch allows the rider to switch between two different maps within the Power Commander. 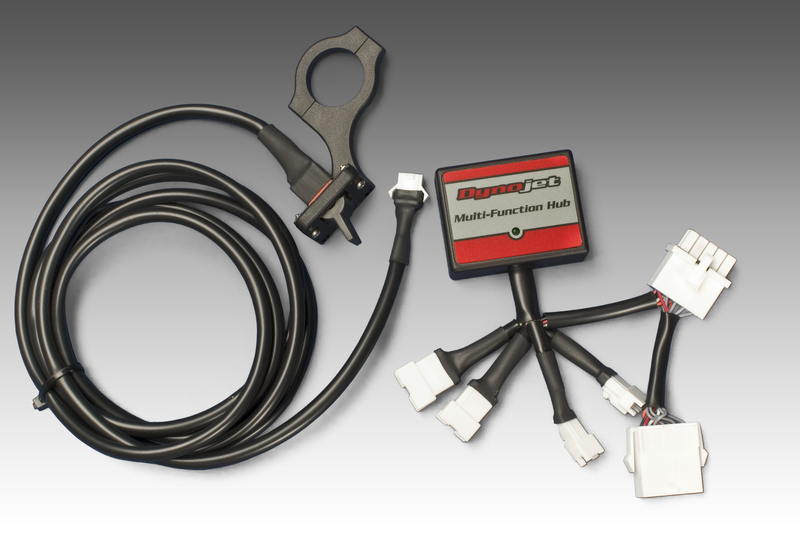 For Touring Bikes this could be used to switch between a "fuel economy map" for long rides and a "full performance map". For Sport Bikes it could be used for applications such as "Dry Nitrous Oxide" kits to permit the user to make the fuel mixture richer when activating the system. 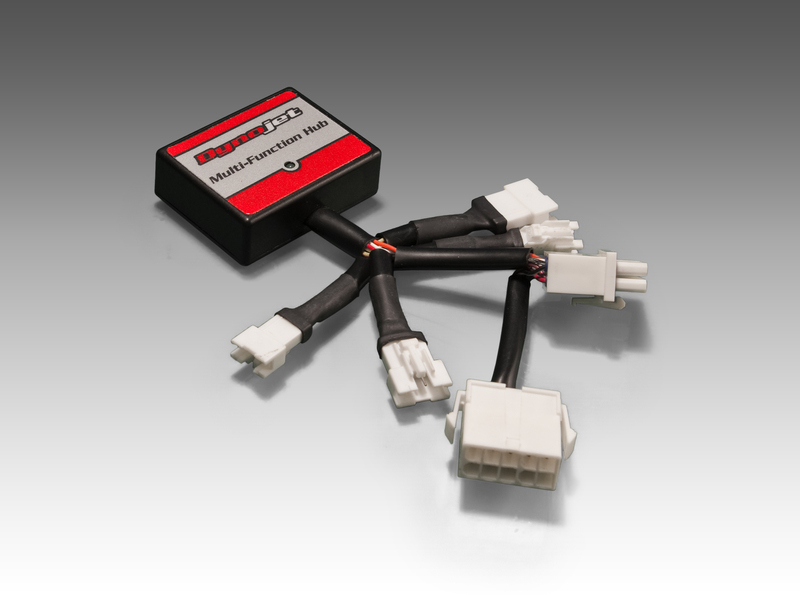 Additionally, if the Power Commander has an Ignition Module connected it can switch to a less aggressive timing map at the same time. 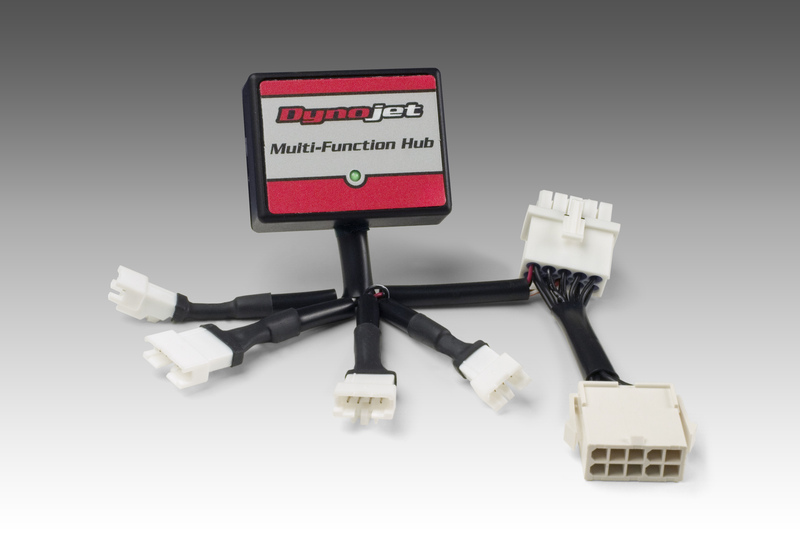 Fuel and ignition timing (when using the Dynojet Ignition Module) adjustments can be made based on gear position or speed. The multi-function hub makes it possible for the user to advance the timing in lower gears while retarding it in higher gears. 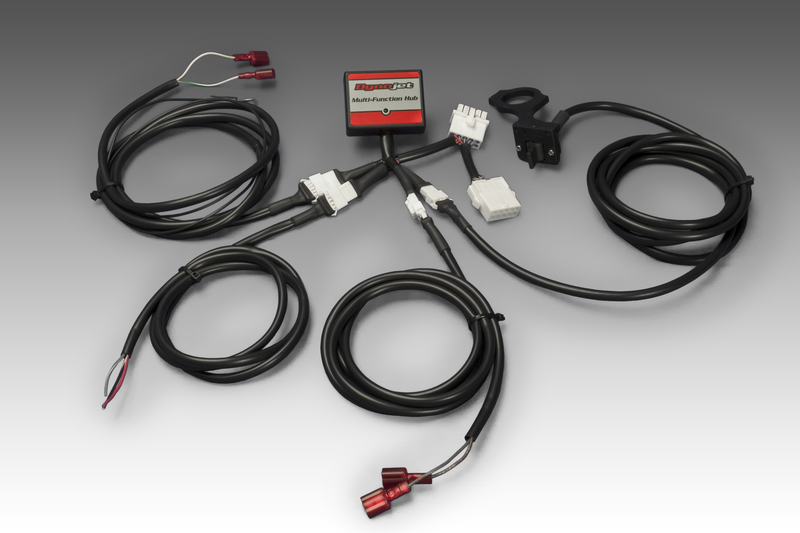 When using a Power Commander on turbo charged applications the Boost Input option makes it possible to have the fuel automatically increase with boost level. When an adjustable boost controller is used, this capability eliminates the need for re mapping each time the boost level is changed. 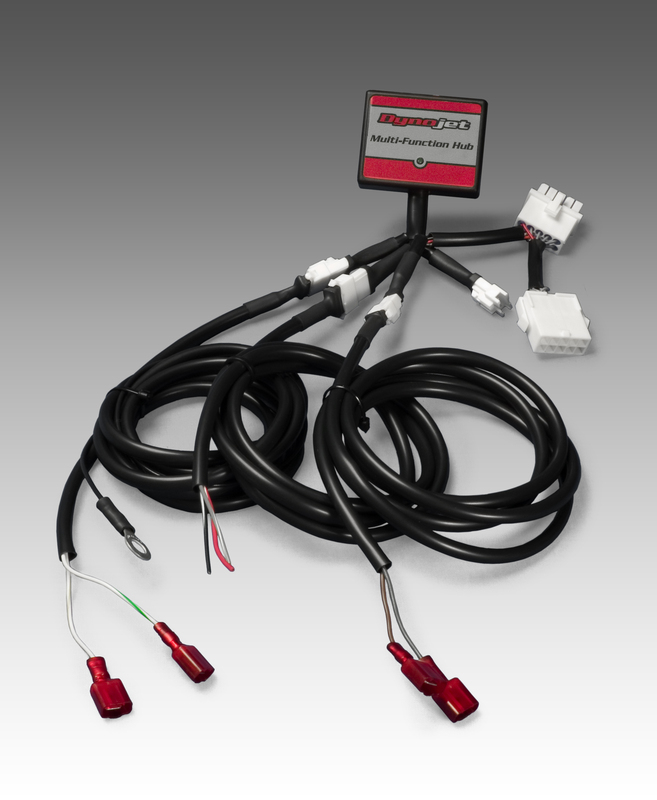 Based on the data from the Power Commander and the inputs from the Multi-Function Hub, a solenoid, relay, warning light, etc. can be triggered. This can be used to activate items such as a shift light, Nitrous Oxide system, or air shifter.